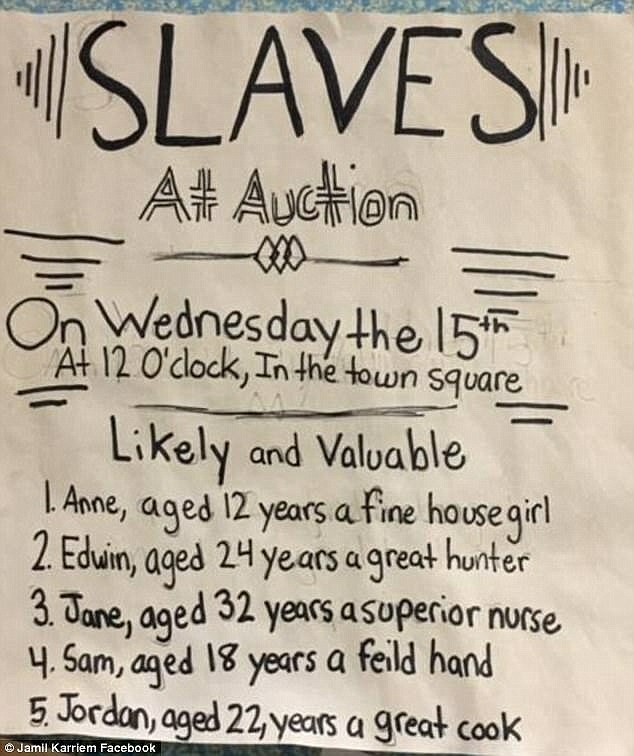 Parents were outraged after a fifth grade elementary class had a mock slave auction where a black student was sold to bidding white students. Jefferson Elementary School is in hot water after a classroom had an 'impromptu' slave auction where a female fifth grader was put on a block and sold off to her white classmates, earlier in March. The 'demoralizing' project was done to teach about the Triangular Slave Trade as the Maplewood, New Jersey, students were learning about the colonization period. The filmed controversial auction took place around the same time another elementary school in the South Orange-Maplewood School District came under fire for having students create slave auction and runaway slave posters. The posters were displayed in hallways and students wrote descriptions for the types of slaves they were selling and listed cash rewards for capturing missing slaves. Parent Tracey Jarmon-Woods, whose son attends Jefferson Elementary, told WABC: 'I was heartbroken, I had a knot in my stomach. Jefferson Elementary said the incident took place while a substitute was in charge of the classroom while the regular teacher was out for a medical procedure. 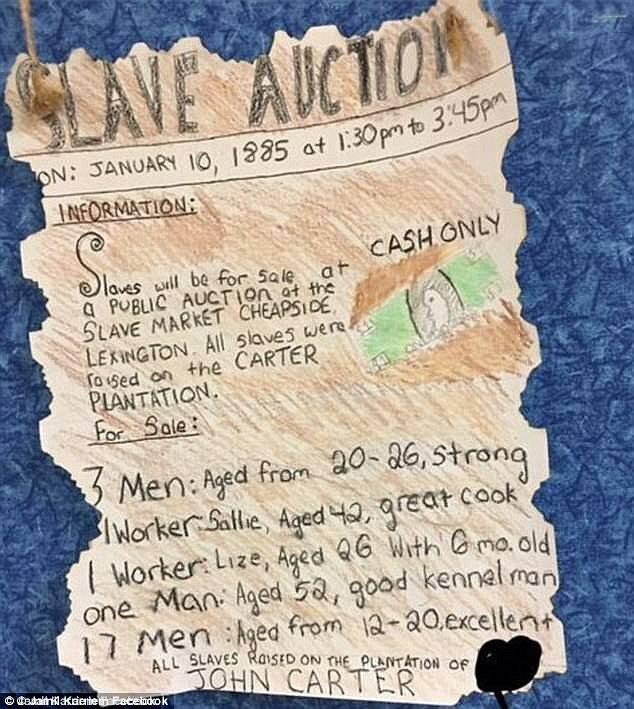 Around the same time that the slave auction took place, less than two miles away, South Mountain Elementary also had a controversial teaching style when students were asked to make slave auction posters. One poster listed the names of available slaves, who included 12-year-old Anne, described as 'a fine housegirl'. Superintendent John Ramos said in a note to parents that the project at South Mountain Elementary School is part of a larger Colonial America unit that's been used for ten years.